We have multiple brands (12) across the organization with varying identities. What are the best practices for deciding on when to add or eliminate a brand? In general, fewer brands are better. Having fewer brands reduces the required marketing resources and makes it easier to build brand awareness more quickly. Each brand should have its own promise and positioning. Given that, each brand should have customer segments or customer need segments to which it most appeals. Brands that have similar or the same brand promises or positionings are candidates for rationalization. Further, if the products or services sold under those different brands are similar or the same, you should consider consolidating those products or services under one brand. Another reason to consider eliminating a brand is if its brand associations are negative. If you eliminate the brand, you will need to address the underlying problem that caused the negative brand associations so that it does not taint the new brand. I would only add a brand when a current brand could not work for a new product or service. This is most often the case if the new product or service would not be credible under an existing brand, especially to a new target market to whom the existing brand has negative connotations. Another instance in which a new brand may be necessary is if you intend the new products or services to be sold in an entirely different price range. For instance, if the existing brand is a luxury brand and you have designed the new products to be sold at low prices points to price conscious customers. It is difficult for a brand to successfully span down to lower price segments from a luxury position. If many of your brands exist primarily because your organization has acquired a number of brands over time, again you may want to consider consolidating some of those brands. This is easiest to do for the brands that have very low awareness or negative associations. I would keep the brands that have the highest awareness, the most positive associations and the most loyal customers. You need to make sure you have measured awareness among the right customer segments so that you do not sacrifice sales when you consolidate the brands. Another option to consider is to have one or more parent brands under which a variety of sub-brands can exist. But again, you need to be judicious about creating sub-brands as each brand or sub-brand will need some level of marketing support. Ultimately, brand portfolio decisions are based on strategic intent informed by solid marketing research. Regardless of what you decide, you will need to have a carefully though out brand migration plan that determines when the changes are made and in what ways. There are financial and practical considerations like the cost of new signage and the cost of discarding existing packaging versus waiting for the brand change until you have sold all of the products using the old packaging. There is also the necessity of transferring equity from one brand to another before the first brand is eliminated. Finally, there is the required communication campaign, which is not insignificant, so that customers understand the changes that are being made. Changes in a brand portfolio can be complicated, however the end result is greater marketing efficiency and effectiveness and greater customer clarity. 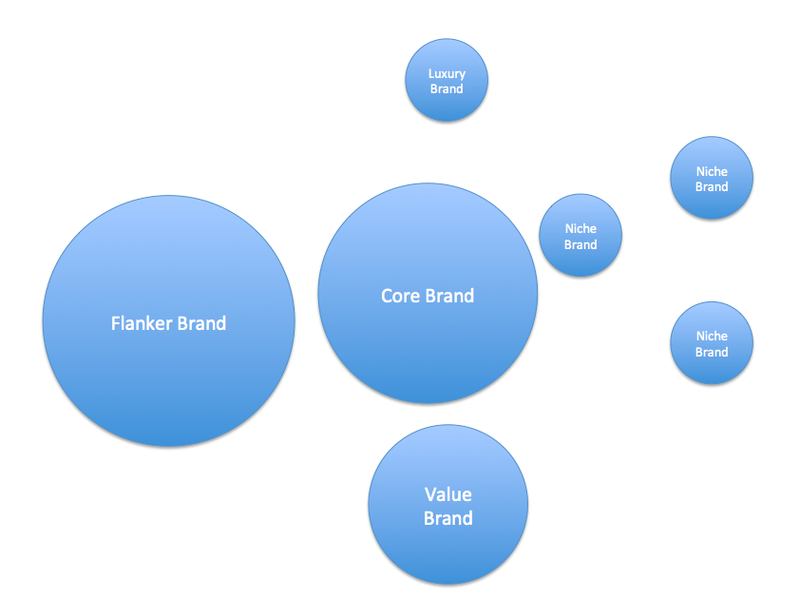 Brand rationalization can also result in making the remaining brands stronger. I wish you great success in making your brand portfolio decisions.